It’s never easy to face a former team, and perhaps even harder as a coach. USC baseball takes on Loyola Marymount at 3 p.m. today at Dedeaux Field. USC interim coach Frank Cruz was the coach of the Lions (16-10) for 12 seasons from 1997 to 2008, racking up 329 wins, three WCC titles and three NCAA tournament appearances. Today, he’ll face them as the head coach of the Trojans (10-18). Both sides come in struggling. Loyola Marymount started off the season 7-1, but has since posted a .500 record. The Trojans are worse off, having gone 2-8 in their last 10 games. Indeed, the Trojans have shown they can play with any team in the country. They put up 14 runs in three games last weekend against a California pitching staff that had a season ERA below 2.00. But USC surrendered 28 runs and lost two of three to the No. 13 team in the nation. 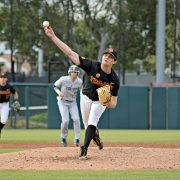 It’s pitching, however, that has kept the Trojans in games this season, holding opponents to five runs or less in 18 of their 28 games. Yet it seems whenever the pitching is there, the hitting isn’t, and vice-versa. 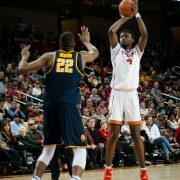 It will take that type of performance for the Trojans to get back on track for the rest of the year, as they navigate one of the most difficult schedules in the nation. The Pac-10 boasts six ranked teams this week, and eight Pac-10 teams have been ranked at some point. And the team’s midweek games, such as today against the Lions, don’t exactly help. 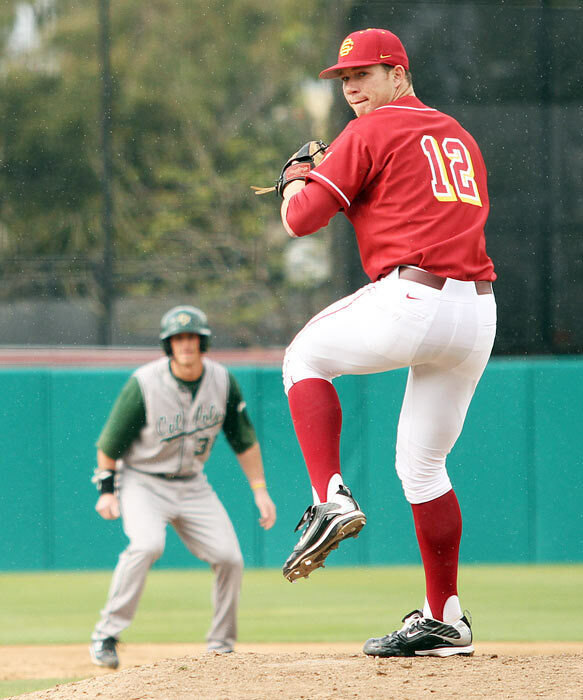 As it stands now, none of the Trojans’ midweek opponents has a sub-.500 record. “We’ve gotta be right up there within terms of toughest schedules,” House said. 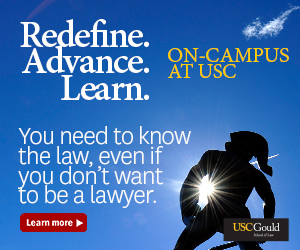 For USC, that means grinding through and doing what it can. Saturday starter Austin Wood got knocked out in the first inning this weekend, throwing just 19 pitches. But that just means the former fourth-round draft pick with electric stuff could be used on the hill today.